Buick LaCrosse Headlight Bulb choices are plenty. Once you decide you’re ready to install some aftermarket light bulbs, there are many options to consider in choosing the perfect replacement headlight bulb for your LaCrosse. 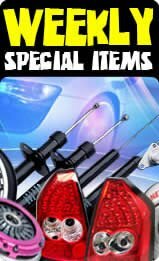 Headlight Bulb replacements are available in a variety of brands, wattages, and colors, with each set of headlight bulbs being ideal for a particular purpose. 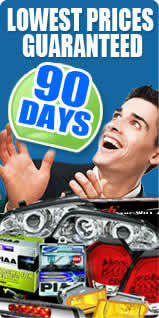 Our line of Buick LaCrosse headlight bulb carry thru 2011, 2012, 2013 or 11, 12, 13 models. Is the price listed for a single LaCrosse bulb or is it for the pair? All the PIAA and Nokya bulbs we sell for your LaCrosse are sold by the pair. By paying the listed price, you get both bulbs. We do not have the bulbs packaged for individual sale. How long will these PIAA / Nokya bulbs last in my Buick LaCrosse? Do you carry BLUE headlight or fog light bulbs for my Buick LaCrosse? Considering the price, Nokya bulbs are by far the best bargain we have available for your LaCrosse fog lights or headlights. Sylvania are very pale color-wise (even worse than PIAA), Luminics have an overall higher defect ratio, and most other brands do not stack up to Nokya quality (let alone PIAA). Will these bulbs burn the wire harnesses on my Buick LaCrosse? Your LaCrosse’s stock wire harness is not designed to withstand continuous extended usage. For that reason, we offer Nokya Replacement Harnesses to ensure long term proper lighting on your LaCrosse. They are also a far cheaper alternative to buying LaCrosse factory harnesses which lack the heat capacity of the Nokya LaCrosse harnesses. Are these bulbs brighter than my Buick LaCrosse’s stock Headlight / Foglight bulbs? No. Contrary to popular belief, aftermarket bulbs add color to your high beams / low beams / fog lights by adding a tint to the glass. This tint results in a nicer beam, but blocks out a small amount of light, resulting in a slightly dimmer beam than your stock clear LaCrosse bulb would have. The color comes at the price of a LITTLE bit of brightness, but most people do not notice the difference. Why Should I Buy Aftermarket Bulbs for My Buick LaCrosse’s Headlights / Fog lights? First off, the stock bulbs on your LaCrosse are going to wear out eventually. Replacing your bulbs with aftermarket headlight bulbs (or fog light bulbs) and keeping your OEM headlight bulbs for spares can be a good way to make sure you are always driving safe and minimize your chances of getting a time wasting fix-it ticket. Also, changing your headlight bulbs can be an inexpensive, quick, and easy way to give your LaCrosse a nice personalized touch that unlike many upgrades, you can actually SEE while driving.